In the unfortunate event that you have been effected by flooding, either through a natural disaster or from faulty plumbing, you will need some form of expert flood damage repair in Auckland to ensure a swift and professional solution to the aftermath of your flooding issues. It’s essential that you use a recommended cleaning company with the correct equipment to ensure the job is done correctly. Although there is no hard and fast rule on the process involved, our experience is that carpets effected by flooding need to be dealt with promptly and should not stay wet for more than 3 days otherwise irreversible damage can occur. We are experts in carpet drying and use high powered truck mounted machines to get to the root of the issue fast. In some extreme cases, the carpets may need to be removed, the underlay pulled up and the carpets dried externally before replacing. This ensures that the floors are completely dry and that further damage won’t occur. We can professionally dry your carpets at our facilities and also have expert carpet layers to install them back into your property once the drying process is completed. We have a range of drying equipment including industrial dehumidifiers and water extraction machines meaning we can tackle even the most severe flooding aftermath. Talk to our professionals further on 09 950 8446 for further information about carpet drying in Auckland and flood damage restoration services. Acting fast after you have been flooded is key to saving time and money. The longer carpets are left after flood damage, the more devastating the effect it. Our professional flood restoration in Auckland will ensure a timely assessment of your damage and immediate attention to the task in hand. We work fast to ensure you save time and money and aim to get your home back to normal as quickly as possible. You should seek immediate advice after a flood and ensure that electrical systems are shut down and that oriental or coloured rugs are removed. Paintings and other décor and furnishings in the room should also be removed to avoid it becoming damp and thus causing further damage and expense. Do not try to vacuum up the water yourself as this could cause serious injury should you vacuum cleaner become wet. 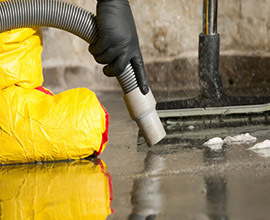 Water extraction, carpet drying and flood restoration should only be undertaken by a professional company. The longer you leave it, the worse it gets so call our team today in Auckland on 09 950 8446 for an immediate response.